Employers seeking to better manage health care costs and benefits are increasingly turning from centralized employer control toward employee engagement and ownership of health insurance and employee benefits. 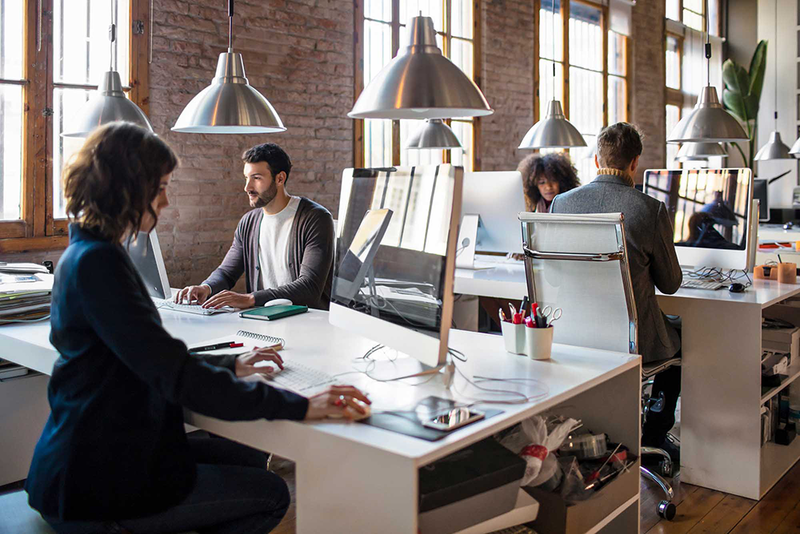 This is according to an annual bswift Benefits Study that identifies trends on how employers are using wellness initiatives, consumerism, and technology to shift health benefits from the employer to employee. The study polled both large and smaller employers. Large employers were defined as having more than 500 benefits-eligible employees and smaller employers were defined as having 50 to 500 benefits-eligible employees. A set of common wellness program offerings is emerging. Adoption of incentives based on outcomes is on the rise, with premium adjustments representing the primary incentive type. Defined contribution is gaining popularity with some early adopters. Technology, specifically automation and employee self-service, are making steady progress. In regards to wellness programs, the study finds that both large and small employers rank cost savings and employee participation as the leading measures of success, with health outcomes being next in the ranking. 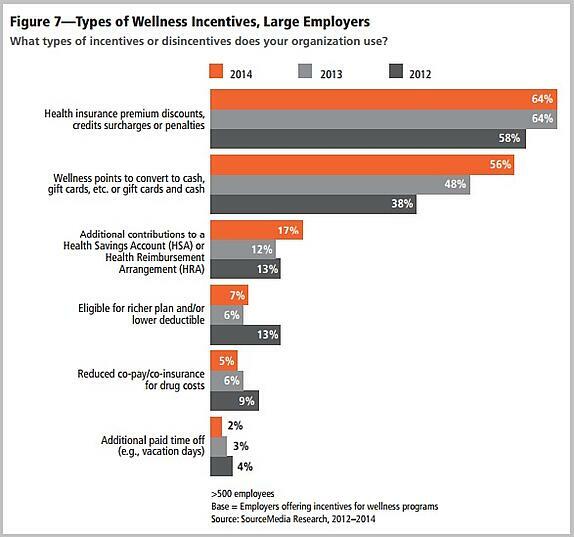 The study also finds that health risk assessments (HRAs), biometric tests, flu shots and smoking cessation programs continue to be mainstays of wellness programs for large employers in 2014. 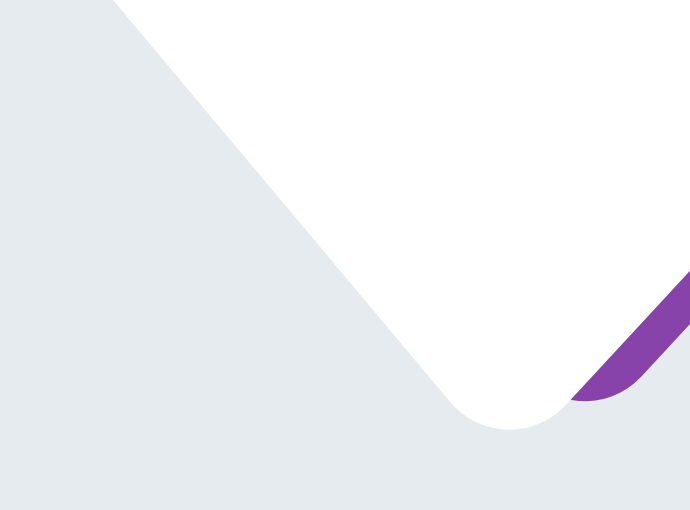 According to the study, the percentage of large employers considering a defined contribution approach and/or private exchanges is gradually increasing, from 14% in 2013 to 18% in 2014. 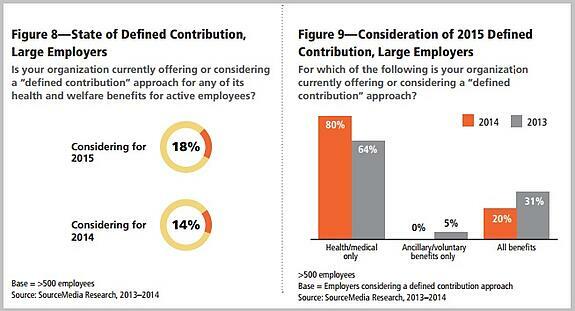 Of smaller employers with 50 to 500 employees, 10% are considering a defined contribution strategy. 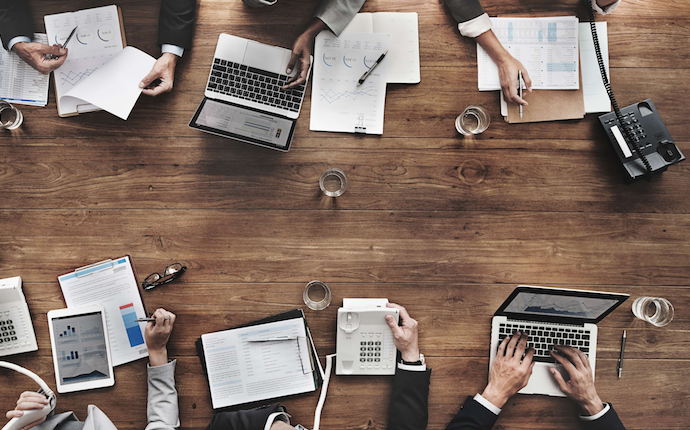 According to the study, most large employers are moving in the direction of employee self-service and automation for online enrollment, new employee enrollment communication, dependent verification, and/or health insurance billing. What trends in wellness, healthcare consumerism, defined contribution, and technology are you seeing?